Over half way through, these are some day 3 highlights! I spent much of today rushing between technical presentations as well as looking at the many, many posters dotted around here there and everywhere. I also took the time to really get stuck into the exhibitor hall. 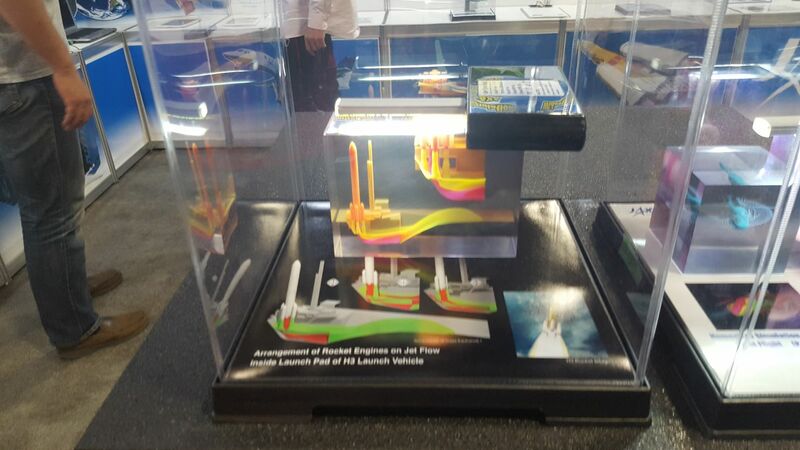 While looking around I came across the Japan Aerospace Exploration Agency's stand, they had lots of nice CFD work displayed but what really caught my eye was the utterly cool (geeky I know) little 3D printed display models of CFD results they had. What do I mean by this? 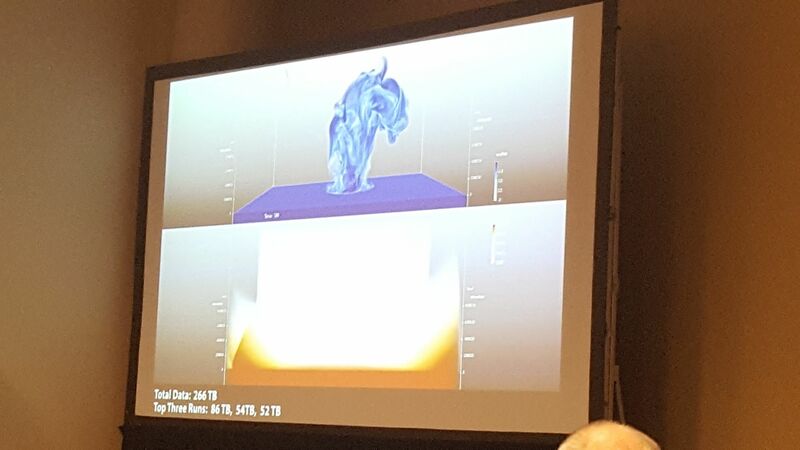 Well, there is an example in the image below but effectively they have produced tiny little versions of their best CAD work (such as flow past a rocket), including showing the flow data as streamlines and colours as you would in a visualisation package. I've never seen anything like it and thought it was really cool to see virtual results turned back into reality (albeit tiny tiny reality). I also visited the finalist session this morning for the annual visualisation competition held at SuperComputing, these were the final 4 of about 20, with the winner being announced tommorrow following their presentations. The one that really stood out for me was a collaboration between NASA and a number of universities based in the USA, looking at the likelihood of an asteroid impact generating a Tsunami of note. Clearly there was much science behind getting the physics right (done, oddly using an in-house Eulerian code that employs mesh refinement to capture the free surface… surely a Lagrangian approach might have been better?) but the visualiations were key to finding useful informaton from the data itself in this case, especially when it came to understanding the shock waves generated in the atmosphere. There's an image below of one of the slides from their presentation but the top and bottom of it is, if an asteroid bigger than 250m in diameter hits the ocean a few miles out from a populated area… there could be trouble!